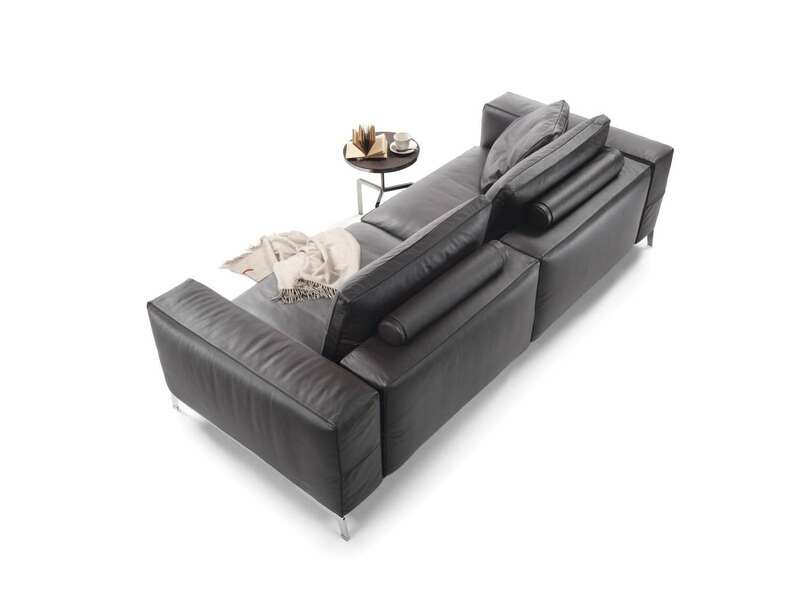 A component sofa that sacrifices the height of the metal legs in favor of ample padding for the seat cushion, which becomes higher. 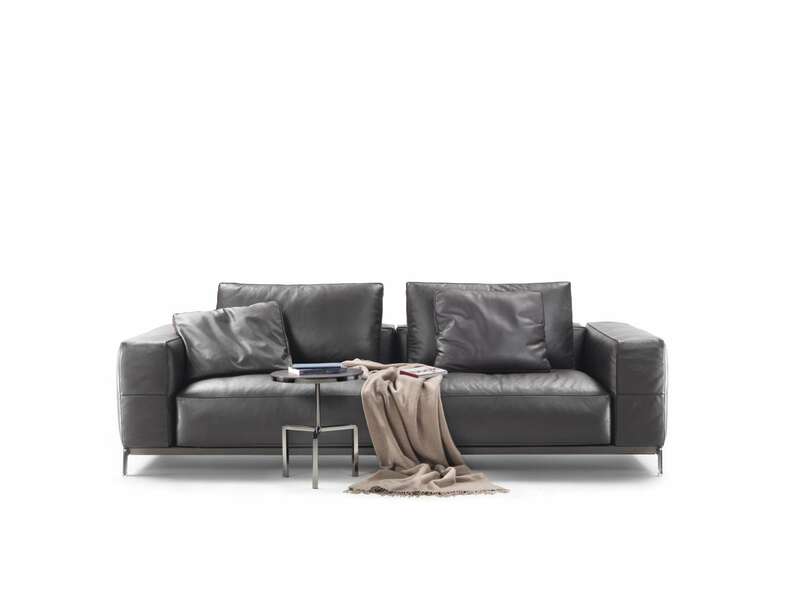 The back is also slightly raised, accommodating soft down-filled cushions and a rear bolster. 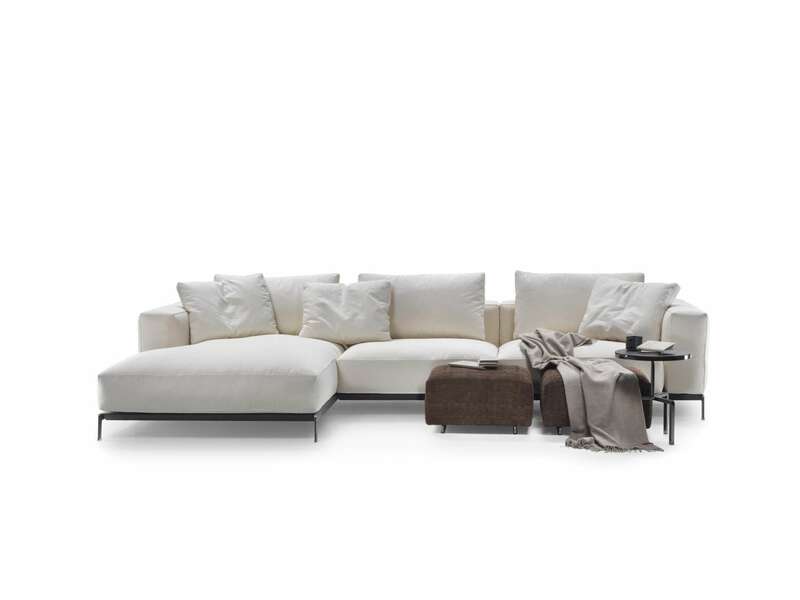 The armrests are compact upholstered blocks, of a certain aesthetic impact. 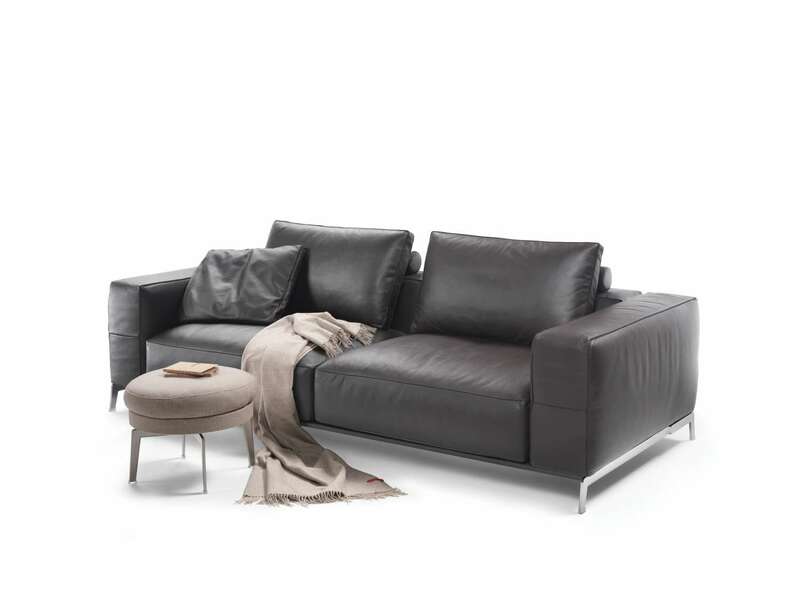 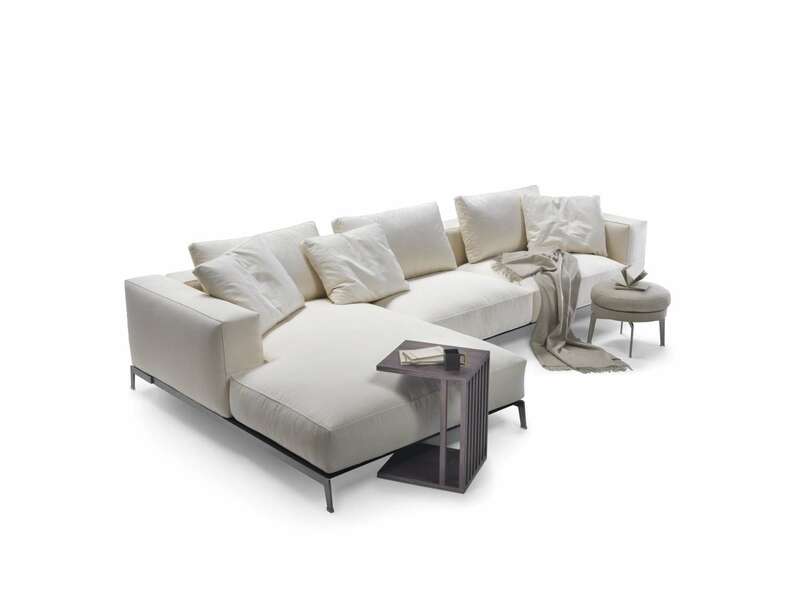 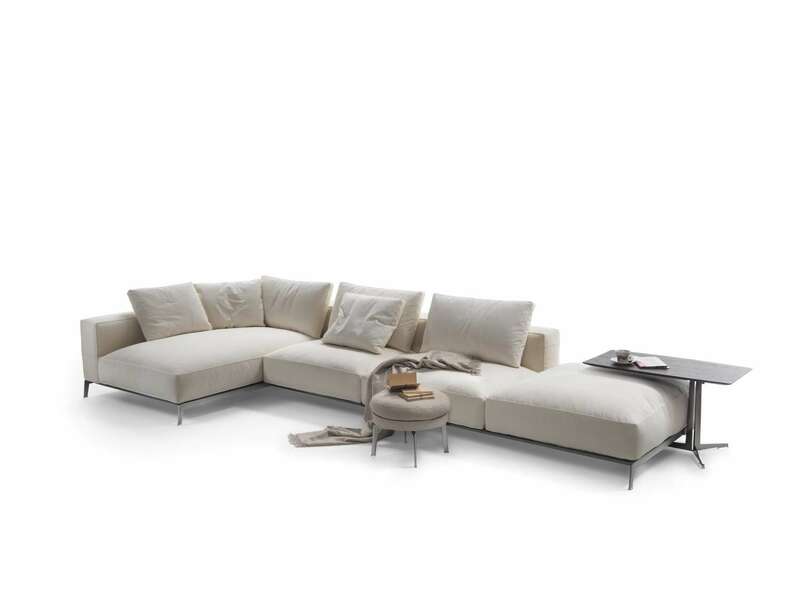 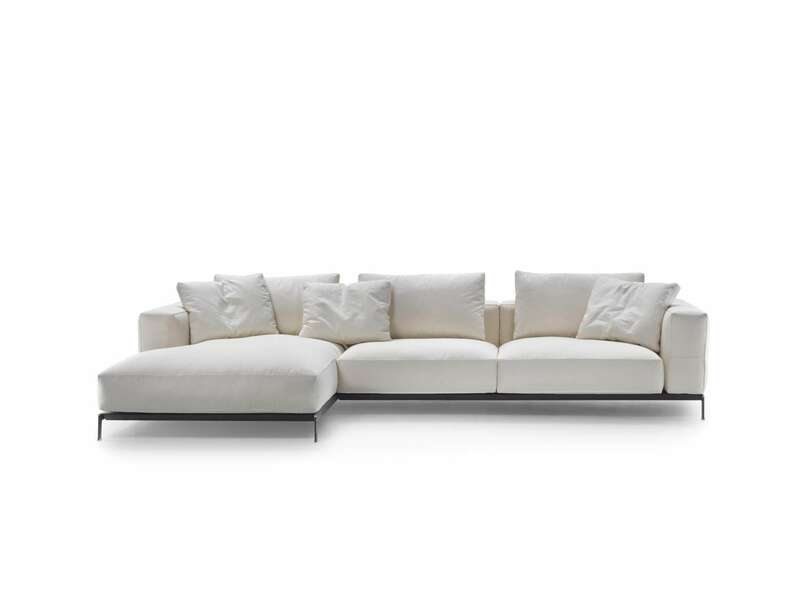 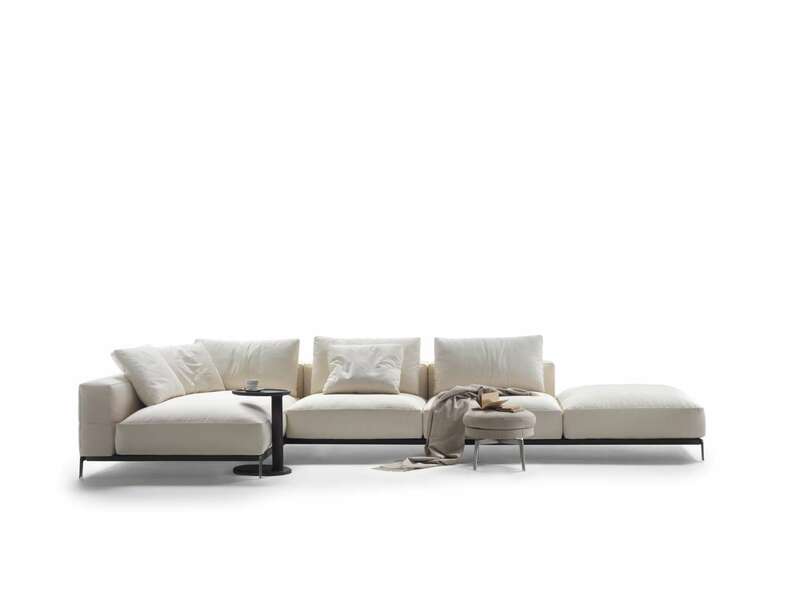 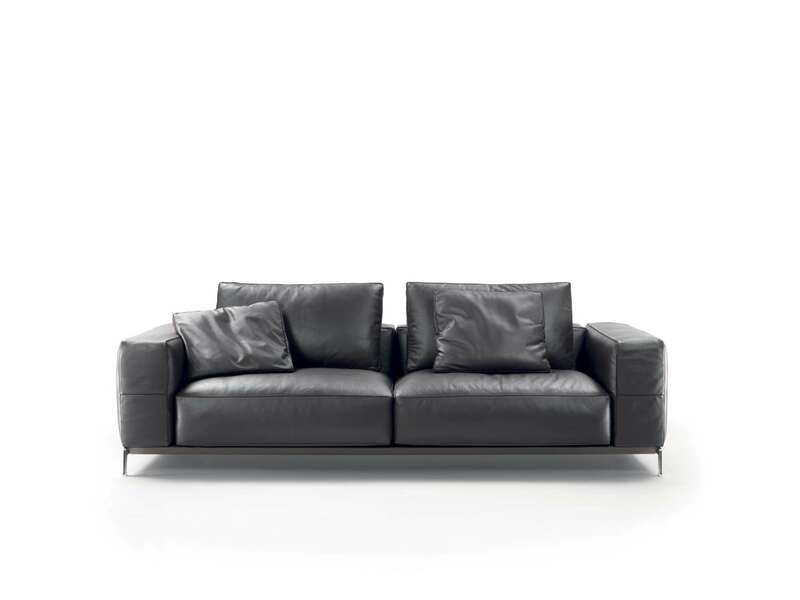 Geometric but not rigid, welcoming and familiar, the ETTORE sofa makes a discreet contribution to any space.